The Elliot's Pheasant, Syrmaticus ellioti also known as Bar-backed Pheasant is a large, up to 80cm long, brown and white pheasant with a black throat, chestnut brown upperparts plumage, white belly, nape and wingbars, red bare facial skin and long rusty-barred whitish tail. The female is a rufous brown bird with blackish throat, whitish belly and white-tipped tail. 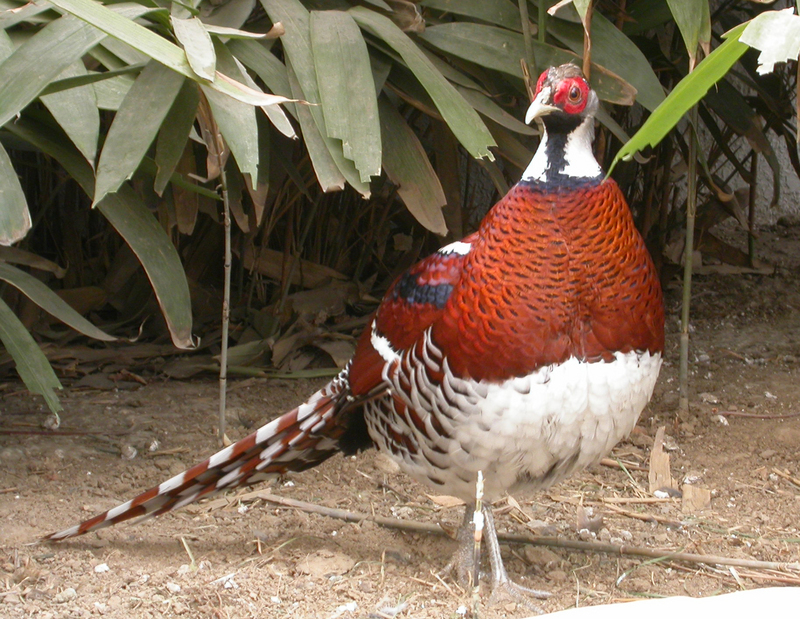 The Elliot's Pheasant is endemic to China, where it lives in evergreen and mountain forests of southeastern China, at altitudes up to 6,200 feet. The diet consists mainly of seeds, leaves and berries. The name commemorates the American ornithologist Daniel Giraud Elliot. Due to ongoing habitat lost, limited range and being hunted for food, the Elliot's Pheasant is evaluated as Vulnerable on the IUCN Red List of Threatened Species. It is listed on Appendix I of CITES.